The Corolla community offers a unique experience, rich with history and culture, located on the north end of the Outer Banks. Its wide beaches and recreational activities provide an oasis for vacationers looking to relax and absorb the stress-free lifestyle. Corolla’s history roots back hundreds of years ago, in the late 1800’s when the Currituck Beach Lighthouse was built, a popular tourist attraction, along with the establishment of the Currituck Beach Life Saving Station. 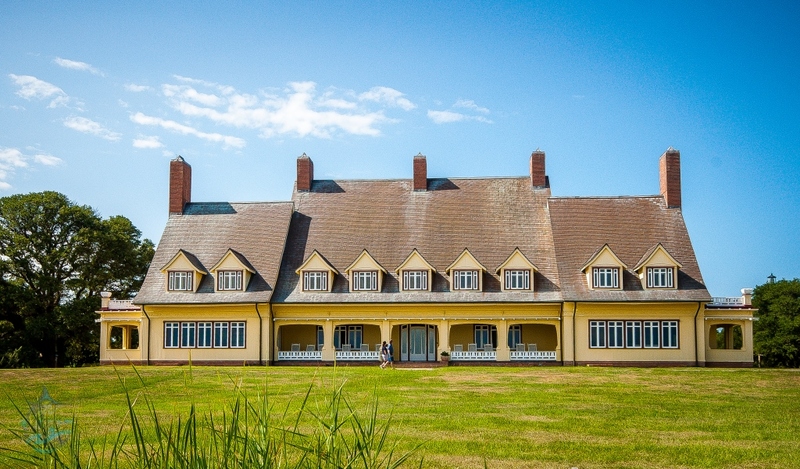 Corolla flourished in the 1920’s when the Whalehead Club was built, which later functioned as a training base in World War II. Now Corolla serves as a perfect environment for family vacations and an ideal location for real estate investment. North of the Corolla village, you will find the 4x4 beaches of Carova and Swan beach. This area is only accessible by four-wheel drive vehicles, as no paved roads have been installed. Despite this lack of infrastructure it remains a widely sought out area for visitors and homeowners. These beaches are home to wild Spanish mustangs and provide one of the most popular attractions, the wild horse tours. Additionally, Corolla includes many appetizing restaurants, excellent shopping, and breathtaking golf courses. With its exquisite cuisine and recreation, Corolla also provides an array of activities that accommodate every member of the family, ranging from surf lessons for the kids to luxurious spas for adults. Over the years, as development has escalated, Corolla has created and sustained a favored destination among people from many different areas of the country. As a result the real estate market remains extremely strong. Beautiful beach rental homes in this area provide unique architecture in some of the most desired locations. The popularity of the area keeps renters coming back year after year. This equates into very profitable rental income producing properties. If you would like a cash flow analysis of any Corolla investment property, we will be glad to compile the data for your review. Listing courtesy of Brindley Beach Vacations-Main. Listing courtesy of Sun Realty - Corolla. Listing courtesy of Twiddy & Company - Corolla. Listing courtesy of Resort Realty - Kh. Listing courtesy of Coastal Property Partners. Listing courtesy of Twiddy & Company - Wash Woods. Listing courtesy of Ocean Bay Realty. Listing courtesy of Re/Max Surfside. Listing courtesy of Corolla Beach Realty. Listing courtesy of Atlantic Sunrise Real Estate. Listing courtesy of Four Seasons Realty. Listing courtesy of Brindley Beach Vacations & Sales - Kh. Listing courtesy of All About Obx Real Estate. Listing courtesy of Beach Realty & Constr - Corolla. Listing courtesy of The Outer Banks Real Estate Company At Exp Realty - Carova. Listing courtesy of Saga Realty & Construction. Listing courtesy of Buy The Beach Realty. Listing courtesy of Shoreline Obx. Listing courtesy of Shore Realty. Listing courtesy of Charles S Motosko. Listing courtesy of The Outer Banks Real Estate Co At Exp Realty. Listing courtesy of Sun Realty - Currituck. Listing courtesy of Stellar Properties. Listing courtesy of Village Realty Holdings, Llc - Corolla. Listing courtesy of Barnett Obx Real Estate. Listing courtesy of Obhoa, Llc. Listing courtesy of Howard Hanna William E. Wood - Currituck. Listing courtesy of Sun Realty - Kitty Hawk. Listing courtesy of Atlantic Realty. Listing courtesy of Corolla Classic Vacations. Beautiful Maritime woods with North end High sand ridge. Which will have ocean Views !!! Be nice to the Horses Please ! Listing courtesy of Soles Realty Obx. Fabulous semi ocean front lot in North Swan Beach - wide beach and views galore from a house built here ! New survey on file with all the homework done to build. High corner lot in popular Ocean Sands. Tennis courts are only about 100 yards away! Great 3rd row lot. In the very popular North Swan Beach. Very close to beach access at MP 19.5. Your future should have amazing ocean views.